On the bicentennial of its publication, what does the classic gothic tale tell us today about science, technology, and society? During that long, gloomy summer, while crop failures and food shortages led to famine and rioting throughout Europe, the friends on Lake Geneva challenged each other to write horror stories. One of those friends, Mary Shelley, imagined the tale of a scientist driven by obsession to create life. The novel she would go on to publish became one of the most enduring stories in the western canon. Two hundred years after its inception, Shelley’s Frankenstein; or, The Modern Prometheus continues to speak to modern concerns about science, technology, and society. The story of Victor Frankenstein and his creature has become a cultural touchstone through myriad theatrical renditions, movies, and other adaptations and allusions. But Shelley’s original tale is far richer and more relevant to contemporary issues than the common interpretation of Frankenstein as a warning against scientific hubris. 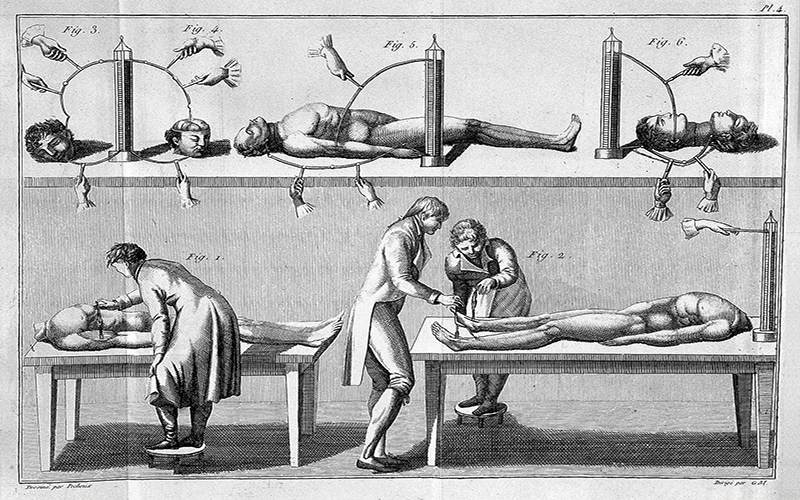 In an influential essay, the legendary science and technology theorist Bruno Latour argued that the horror of Frankenstein does not stem from Victor bringing his creation to life. The book’s tragedy is instead driven by Victor abandoning his creation. As a cautionary tale for our technological era, Latour contends that Mary Shelley’s story should teach us to “love our monsters.” With consequences of our technological innovations ranging from climate change to potentially altering the human germ line, accepting responsibility for our creations is more important than ever. 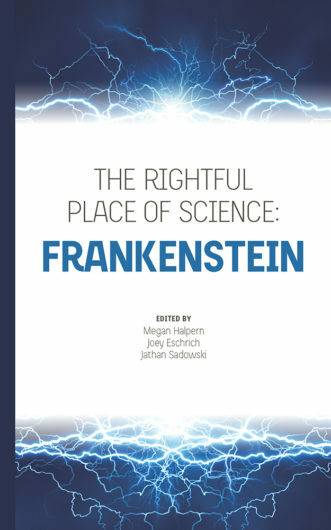 The authors of the essays in The Rightful Place of Science: Frankenstein take up Latour’s challenge. They examine the roots and origins of Shelley’s tragically flawed scientist and his benighted creature. They consider Frankenstein as a parable of creativity and responsibility that can help us better understand our current creative dilemmas. And they show how Shelley’s text foreshadows future technological innovations, and the challenges we anticipate from emerging fields such as synthetic biology and artificial intelligence. The bicentennial of this story of a scientist who failed to care for his creation provides an opportunity to explore creativity and responsibility across literary, scientific, social, and cultural dimensions. Edited by Megan Halpern, Joey Eschrich, and Jathan Sadowski, and featuring contributions from Kevin Esvelt, Ed Finn, Charlotte Gordon, David Guston, Alyssa Sims, Bina Venkataraman, and Sara Imari Walker, this new volume is a vital contribution to cultural and technological studies. Purchase your copy at Amazon today.